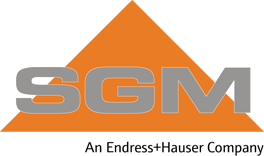 USERS are all internet users who browse, read, view and use the SGM website. The SGM site may use “cookie” techniques to process statistics and traffic information, facilitate navigation and improve the service for the user’s convenience, who may oppose the recording of these “cookies” by configuring his or her browser software. For any report of illegal content or activities, the USER may leave a message at the following address: info@fr.endress.com or by registered mail with acknowledgement of receipt sent to the EDITOR at the address specified above.